Baader ACF filters convert an ordinary DSLR camera into an efficient specialized model for astrophotography! Replacing the original Canon filter positioned in front of the sensor (which reduces the camera sensitivity to the red part of the spectrum and cuts of the near infrared radiation) with the ACF, your DSLR camera will become more sensitive in particular to the H-alpha wavelength emitted by nebulae. 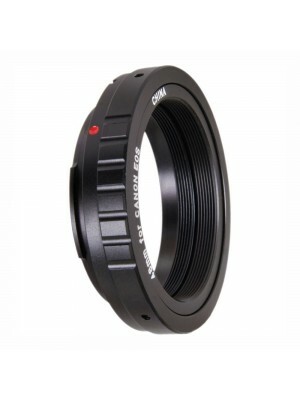 Baader DSLR ACF Filters are manufactured with strict blocked transmission in the blue and red part of the spectrum, so that the white balance of the camera for daylight shots is much more successful in spite of the H-alpha passage. In addition, this improved IR and UV-blocking enables a reduction of the halos around bright stars, which otherwise often occur when an inexpensive refractor telescope is used for astronomical photography. The Baader ACF filter has to be installed in the camera body replacing the original one. If you don't know how to do this or if you don't want to make your own modification, we offer an astro modification professional service.